Like Connecting Singles and want to link to us? Here are some banners you can paste on your web page. Help spread the word... Connecting Singles is fun and 100% FREE! 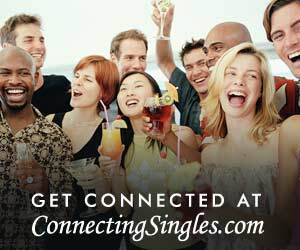 If you would like to display a connectingsingles.com banner or text link on your web page, you may choose among the banners below. Simply cut and paste the code below for the banner of your choice, and place it onto your site. Thank You. We appreciate your support! DESCRIPTION: Connect with quality singles looking for love, marriage, romance, and friendship. A 100% FREE online dating service offering online dating, photo personal ads, matchmaking, free email, extensive search, and more. Connect with someone special today!